The Embassy of Ireland in Uganda, in partnership with Uganda Tourism Board and the Uganda National Roads Authority, yesterday illuminated the ‘Source of the Nile’ Bridge green in celebration of Ireland’s national day, St Patrick’s Day, which takes place annually on 17th March. This marks the fifth year that Uganda has participated in the Global Greening initiative, an event that sees over 300 famous landmarks and iconic sites across the world go green for 17th March. In the past, these have included the Great Wall of China, the Pyramids in Egypt, Table Mountain in South Africa and the Equator Monument in Uganda, among others. The ‘Source of the Nile’ Bridge monument was chosen as a unique symbol of a bridge between two peoples and two nations, bringing Ireland and Uganda closer together. The River Nile is a major source of tourism, and Ireland is privileged to bring attention to this distinctive aspect of Uganda’s geography and culture. The event is a boost to both Uganda and Ireland’s tourism as images of the activity are shared across the world. Images will also feature on the website and social media sites of the Embassy of Ireland to Uganda, the Tourism Ireland website and several news media channels around the world. The eagerness of cities and countries worldwide to take part in the ‘Global Greening’ initiative underlines the strength of the deep connection that people all over the world feel to Ireland. More than 70 million people around the world claim links to the island of Ireland and St Patrick’s Day is a truly unique opportunity to connect these people, and others worldwide, with Irish culture and heritage. St Patrick’s Day was made an official Christian feast day in the early seventeenth century and is observed by the Catholic and the Anglican Church. The day commemorates Saint Patrick and the arrival of Christianity in Ireland. 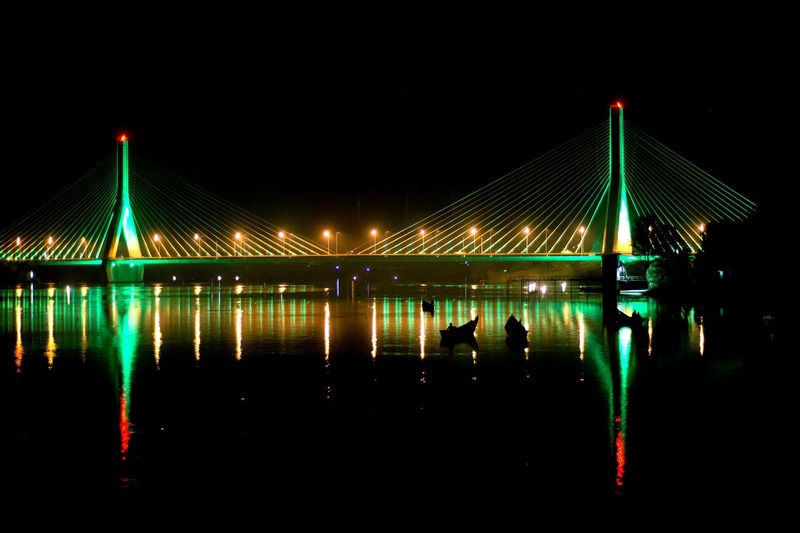 As part of this year’s St Patrick’s Day (Ireland’s National Day) celebrations in Uganda the ‘Source of the Nile Bridge’ will go green for five days from 12th March to 17th March. The Global Greening, is an initiative which began 10 years ago by Tourism Ireland with the greening of famous landmarks around the world. Last year over 300 iconic landmarks across the world went green on St Patrick’s Day, including the Uganda Equator monument.